Kotagiri sees a gradual move toward vehicle automation. 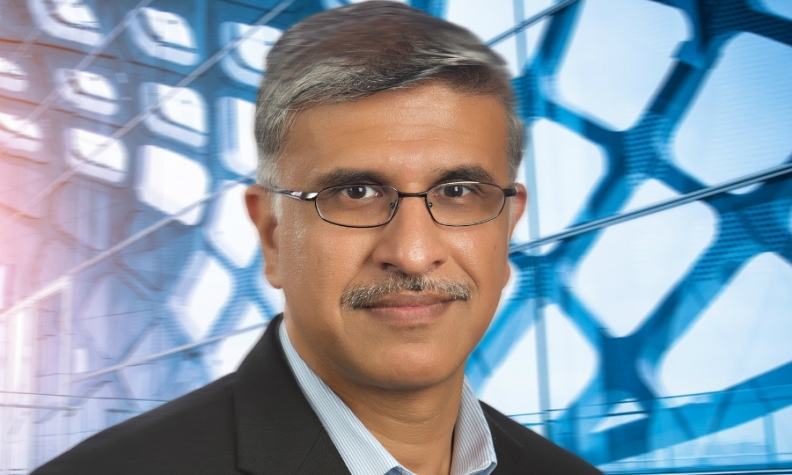 Magna Chief Technology Officer Swamy Kotagiri recently spoke with Automotive News Europe about how the megasupplier is preparing for the move toward electric and autonomous cars. He also shared his thoughts on what Silicon Valley companies are learning as they get more involved in the auto industry. How is Magna getting ready for the move to electric cars? We look at the building blocks that we need to have the right solutions ready whether 25 per cent of vehicles are going to be electrified or five per cent. There is some question on capital allocation. How much will you invest? Will you have partnerships? Either way, you still need to have a core strategy. In very simple terms, you have a machine, inverter, power electronics and a gearbox. Once that is in place, you can start looking at some of the additional features. Some of those things could be very agile and fast changing, but the hardware architecture is still a long-term item. Is Magna borrowing ideas from any other industries? For a software feature, we sometimes follow what the Silicon Valley companies are doing in terms of being agile. Once we have our core strategy, we start looking for solutions across industries, across startups, across possible technologies in other areas that could be brought to automotive. Therefore, it’s a mix of several philosophies today. If you don’t do that, you can’t survive anymore. This is especially true with the move toward autonomous cars, right? A lot of things are scalable. Take lane-keeping assistance. The number of times it is effective today versus what it might have to be in the future could change, but the fundamental building blocks will still be there. You’re using AI (artificial intelligence) to fine-tune it further. But, even in hardware architectures you need a platform strategy that has a certain amount of scalability. If you don’t have this, you’re reinventing the wheel every time and you won’t be fast enough for the industry right now. When do you foresee the mass move to electrified and autonomous cars? We believe electrification is going to happen, but I don’t think I would be very truthful if I told you with confidence that it’s going to happen in 2021 or 2025. It’s the same thing with autonomous cars. Despite all the discussion about autonomous cars, Level 1 and Level 2 features have a global penetration rate of about seven to eight per cent. The penetration of these features will increase as the options packages become more economically attractive for the end users. That means there is going to be a push on us to make these a viable opportunity. What do you take into consideration? We have to decide how many platforms and how many automakers we are willing to focus on. This way we can figure out our resource allocation and whether it is financially feasible. You have to be pragmatic because if you try to do everything, the outlay could be really exaggerated. You can’t really master everything. Since widespread availability of Level 4 cars is still years away, how much of your job comes down to managing expectations? Some people might think we’re going to have Level 4 everywhere soon. That’s not the case. We think there needs to be a significant penetration of Levels 1, 2 and 3 first. Level 4 will be limited to geo-constrained areas in the beginning. What is Silicon Valley learning as it tries to get into the car business? Building a car is complex. People from different industries are surprised when we say you’ve got to be planning now for 2020. And, by the way, whatever you’re going to build for me you’re going to build for six years. And, you need to keep producing for seven more years after the end of production because I need spare parts. This realization comes when they get more deeply involved in the industry. There are things to be learned from each other, but I think the auto industry is being simplified or underestimated. Like anything else, you’ve got to burn your hands to learn the lesson.